Creamy, cheesy, wonderful! 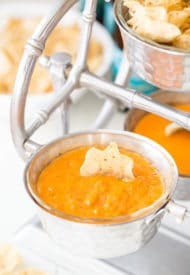 This red chile queso dip is exactly what you want to pair your warm tortilla chips with. UPDATE: This’s Day 4 of 5 Days of Cheesy Dip Series. If you missed the previous recipes, here’s Day 1, Day 2 and Day 3. Also, I made a quick video to show you just how easy it is to make this queso dip. A while ago, when I was shopping in Walmart, I saw a huge bag of dried red chiles. Out of blue, I had this urge to buy it. I had no idea how to use it, had no recipe plans, no particular reason whatsoever. But I got it anyway. It was New Mexican variety, which means they are basically pretty mild dried Anaheim peppers. Not terribly spicy, this chiles are perfect for a lot of recipes. And it didn’t take me long to come up with an idea though. Cheese-dip-loving-self knew exactly how to put this gorgeous chiles to a good use. 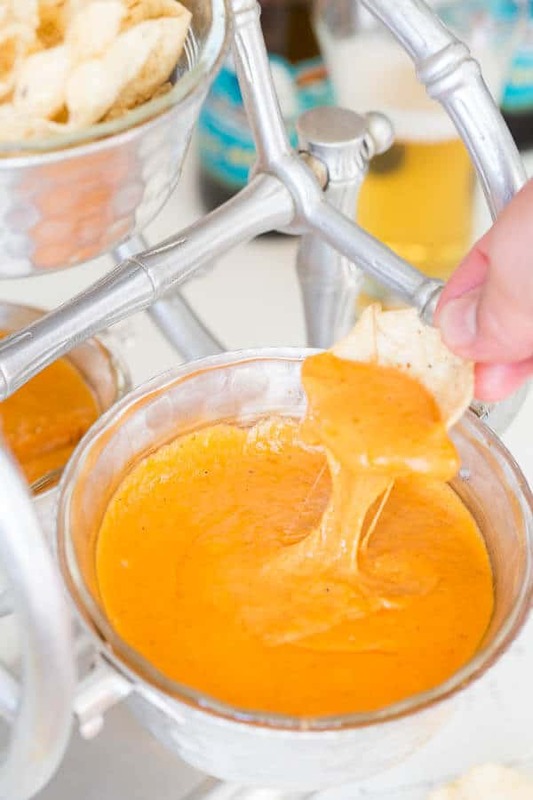 So it’s embarrassingly easy to make this red chile queso dip, you guys. First, we’ll reconstruct the chiles in hot water. Then we’ll blend the chiles with milk in a blender, mix it with cheese and slowly melt until smooth. And there you have it, creamy, cheesy dip with mild notes of red chiles. The secret to ultra creaminess is velveeta! In just 15 minutes, you could be dipping your warm tortilla chips in this wonderful cheesy dip. Doesn’t it sound wonderful? Creamy, cheesy, wonderful! 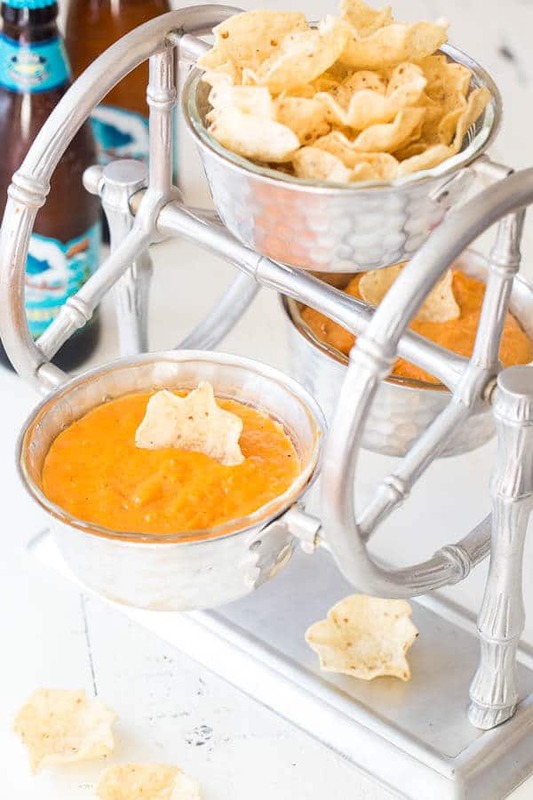 This red chile queso dip is exactly what you want to pair your tortilla chips with. Boil 1 cup of water and soak the chiles for about 10 minutes. Drain the softened chiles and place them in a blender/processor with milk. Blend until smooth. Then strain through fine mesh strainer to remove the bits. 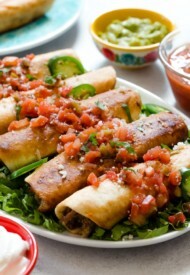 In a medium saucepan, combine milk with chile, cheeses and spices. Cook over medium heat, stirring frequently, until the cheese is melted and the mixture is nice and smooth, about 5 minutes. To reheat the queso dip, place it in a saucepan and slowly heat it, stirring frequently. Add a little bit of milk, if needed. 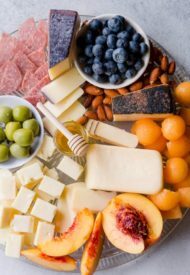 This recipe was originally published on February 20th, 2015. Looks yummy. Just one thing, in the video you strained the chile-milk mixture before adding it to the other ingredients but that step is not metioned in the directions. If I didn’t see the video I wouldn’t know. Hey, Petra, thank you for catching that! I just updated the recipe to include the step. 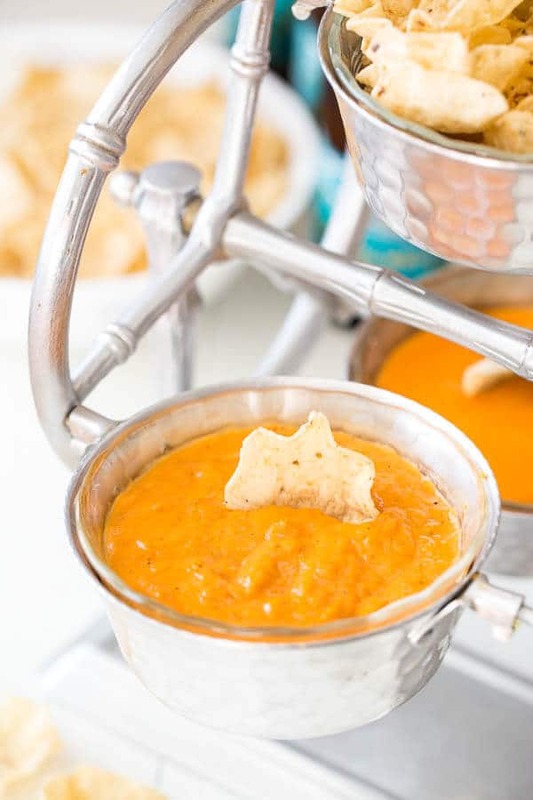 Craving all the cheesy comforting taste of this red chile queso dip right now. Just divine Shinee! What a great twist on an old favorite. Looking forward to trying it. I loved your photos from the trip on Insta! Looks like you had a blast! This dip looks fantastic! 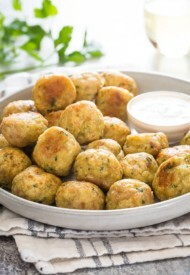 I need to make it soon!